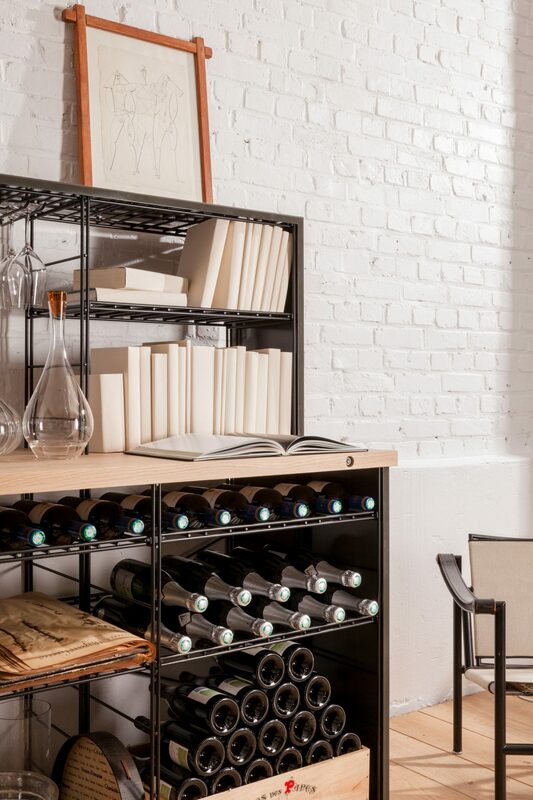 Contemporary furniture including wine storage, a cocktail bar, a stemware rack, book shelves, and a worktop to share cheese, ham and snacks. 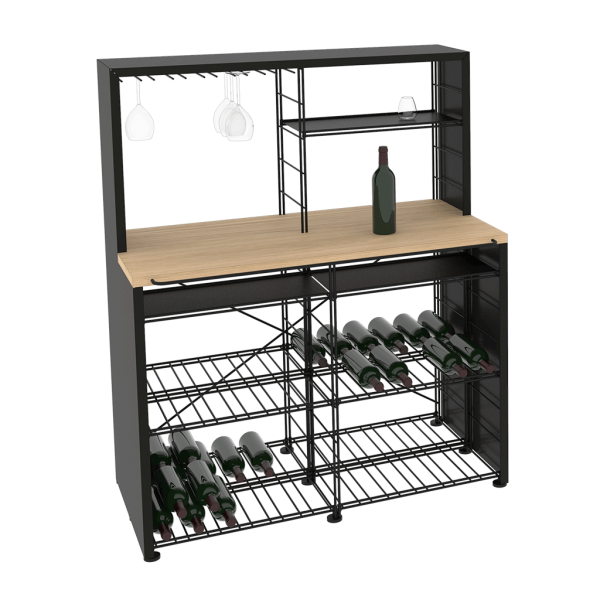 Option : a wine cabinet can be placed in one of the two under worktop spaces. 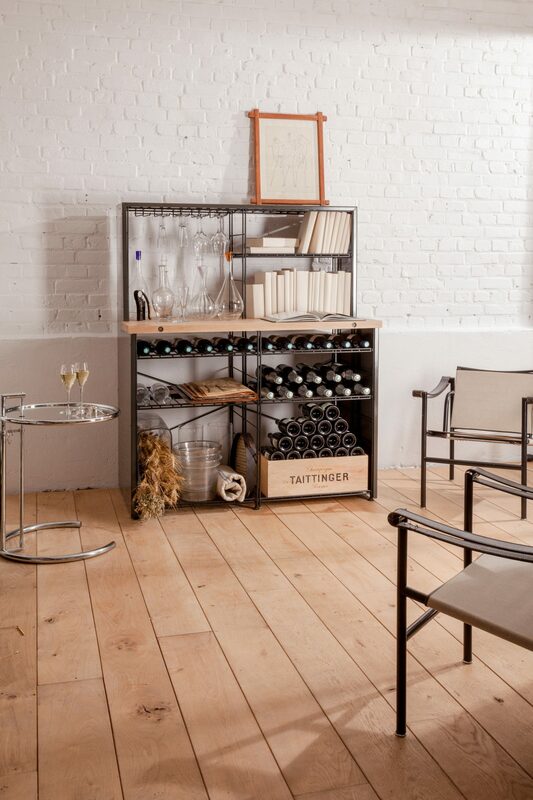 Made from anti-corrosion painted steel and solid hard wood top. 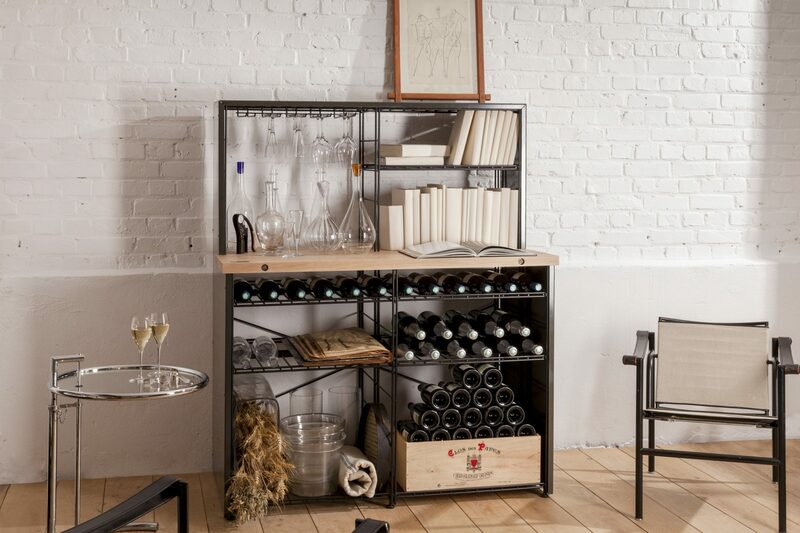 This unit is configurable thanks to the choice of the shelves options. L 123cm x D 70cm x H 150cm.